Kerry is experienced in working with first-time homebuyers, trade – up homebuyers, trade-down homebuyers, empty nesters and the occasional investor. By listening to her client’s needs, her main objective is to help her client achieve their real estate goals and expectations by finding them the best investment available. Before real estate, Kerry spent several years in sales, working for a Berkshire Hathaway Subsidiary. 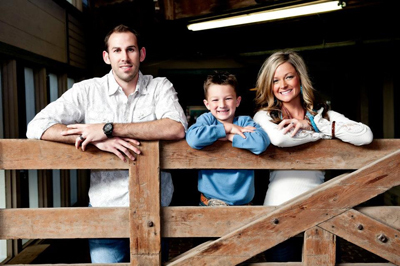 Kerry received her BA in Business Administration from Tarleton State University. She continues to use these business skills daily in real estate as she works diligently for her clients and negotiates on their behalf. Tarleton State University– Alumni Association GO TEXANS! Testimonial We have worked with Kerry Zamora the past three months on selling our old house and trying to buy a new one. We ended up in a horrible situation from both our house buyers end and also the builder that we were buying from. It ended with terminated contracts on both sides after three extensions due to our buyers financing falling through. It was a stressful, long, draining process and everyday seemed like it just brought more and more bad news. We had sold half of our furniture and packed up most of our house. Kerry worked extremely hard and tirelessly to try to remedy every situation that came up. She kept us completely updated on everything that was going on and went above and beyond to try to get us out of our house and into the new one. It’s unfortunate that it didn’t end up working out in the end but we are so lucky we had such a great REALTOR® to work with. 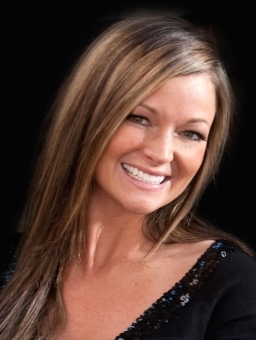 I would and will recommend and refer her to anyone that I know that is looking for a REALTOR®. She has a great work ethic and is non stop in making sure that her clients are satisfied and happy. I was referred to her by a lady I work with and could not have imagined someone better to work with. She is great at what she does and extremely hard working. There is not enough I could say about how much easier she made this extremely frustrating situation. I know she did as much as she could to get us what we wanted and there are not enough words to thank her for all of her help the past three months. She has lifetime customers with us and I just wanted to let her company know how great she has been to work with. -Brooke Graham Kerry is EXCELLENT! 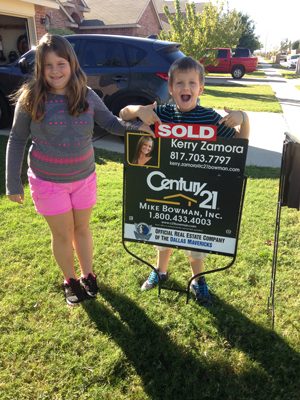 Our home was listed on a Friday night, showings started within 12 hours, and our home sold after 4 days on the market. With selling and closing so quickly, we thought that we would be forced to rent for a couple of months before we could find and close on a new home. But Kerry came to the rescue again, found our dream home, and using her experianced network of vendors, got us to closing in just a couple weeks. With in one month of deciding to put our home on the market, we sold, closed on the sale, and closed on our new home. That never would have happened with out Kerry. Using her as your REALTOR is the best decision you will ever make.